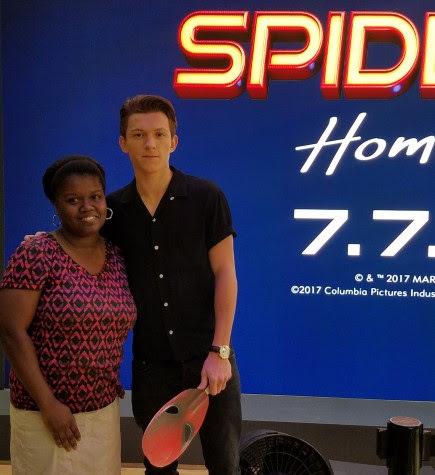 We've had a very busy few days covering the Spider-Man Press Junket, which included meeting Tom Holland (aka Spider-Man/Peter Parker) in person at Sony Square NYC, during a first look at the Spider-Man: Homecoming Experience. 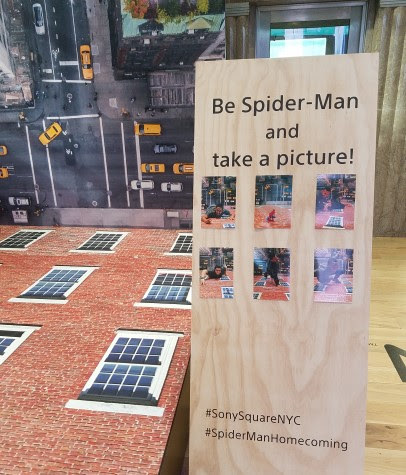 Note: I was invited as media by Sony Pictures to the movie screening, press junket interviews and Sony Square NYC. However any personal views expressed are always 100% my own. When Tom first came out, I wasn't sure how long he'd stay or how close we'd get to him. So imagine our delight when Tom came out, greeted everyone and then asked if we were ready for photos. Heck yeah Tom! Tom was super sweet with the kids (and the adults) while posing for photos. He interacted and asked the kids questions and then took time to chat with the adults. My son was SO excited to take a photo with him. Especially since he just saw him as Spider-Man in the movie! 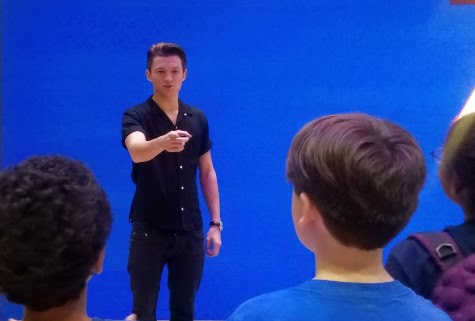 When it was my turn to meet Tom, I had a special treat since Tom started to dance to the background music that was paying. I was impressed since he actually had some rhythm and shoulder movement. LOL. You can see a bit of us meeting Tom in the below video. I'm right about how nice Tom was and the dancing right? Right! I edited the video so you can see just our highlights, but the full video can be found on the Spider-Man facebook page. While it would have been cool to hangout with Tom all morning, there was a long line of people outside waiting to come in to meet Tom and check out Spider-Man: Homecoming Experience. 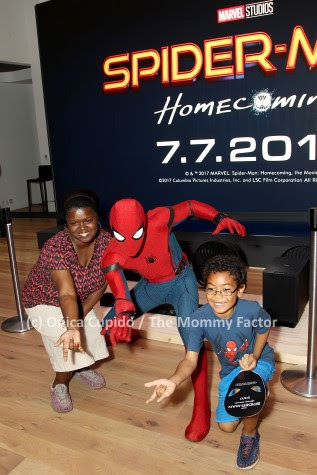 So we said goodbye to Tom, took a photo with a costumed Spidey and went to check out the activities within the exhibit. 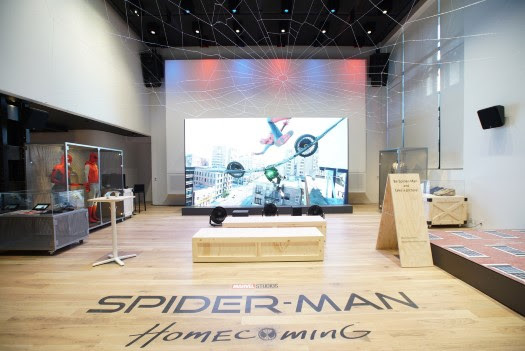 As soon as you walk into the Spider-Man: Homecoming Experience, your transported into the world of Spider-Man. 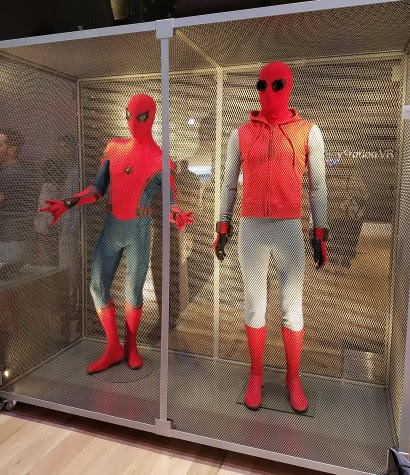 From the over head web to the Spider-Man film costumes and props. 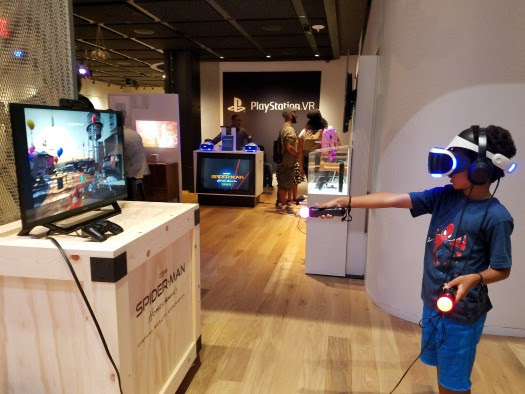 You can also step into Peter Parker's shoes (and leap off a crane to swing through the air in pursuit of Spider-Man's nemesis The Vulture) by playing the Spider-Man: Homecoming VR experience on PlayStation®VR. Both my son and I played this game and it's awesome! You get to shoot webs at targets before leaping up on a crane to battle The Vulture. Coolness! We gotta get a PlayStation VR so we can play it at home! 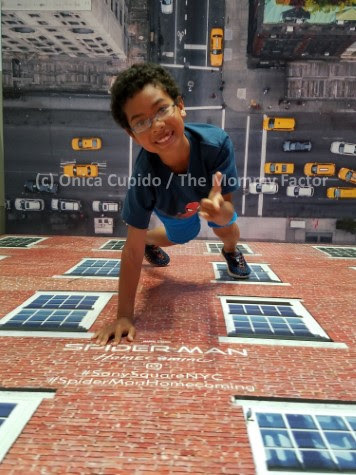 We also "climbed" a NYC building just like Spidey. While stopping to take a few photos of course. 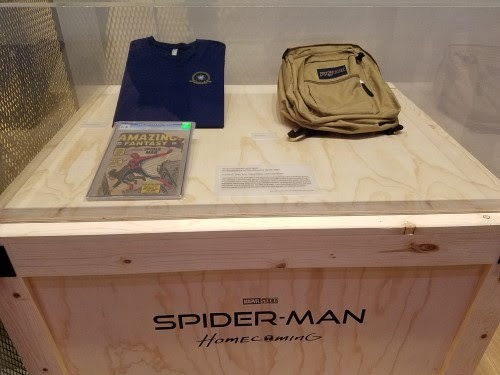 Then we checked out the Spider-Man: Homecoming props from the film, including a Spider-Man costume and Peter Parker's backpack. As you can see, this is a fun experience for any Spider-Man fan so make sure you visit and check everything out. 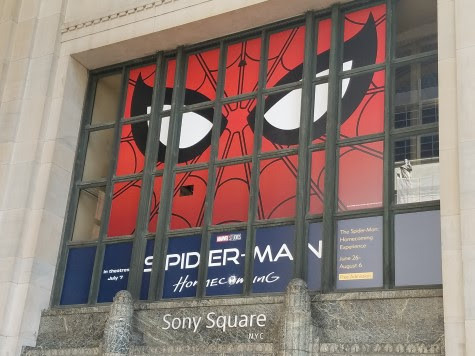 "The Spider-Man: Homecoming" experience is on display from June 26 – August 6.